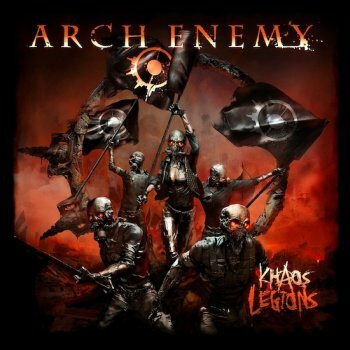 ARCH ENEMY - KHAOS LEGIONS (CD) | Online Shop | Wizard LTD.
- CENTURY MEDIA SUMMER CAMPAIGN! ВРЕМЕННО НАМАЛЕНИЕ!! СЛЕД ИЗЧЕРПВАНЕ НА ОПРЕДЕЛЕНИТЕ КОЛИЧЕСТВА ЦЕНАТА СЕ ВРЪЩА НА СТАРОТО НИВО! Swedish/German extreme metal metallers ARCH ENEMY have teamed up with industry leading audio technologies manufacturer Altec Lansing to unveil the cover art for the band&apos;s forthcoming full-length record, "Khaos Legions". The artwork, which comes courtesy of renowned artist Brent Elliott White (MEGADETH, DEATH ANGEL). The CD was tracked at Sweet Spot Studio in the south of Sweden with engineer Rickard Bengtsson (who produced 2005&apos;s "Doomsday Machine") and is scheduled for a 27 May release via Century Media Records. Michael Amott - lead and rhythm guitars, clean backing vocals in "No Gods, No Masters"